This book is an analysis of the major events of the second half of the Twentieth Century by a Marxist and a participant. 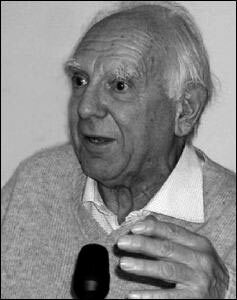 Livio was for a long period part of the leadership of the Fourth International. The book deals with the strategic and programmatic problems his generation faced as it sought to work towards a democratic socialist alternative. We are making an appeal for donations to complete the translation of this book. We are hoping to raise to 5000 euros. If you donate 40 euros or more, we will send you a copy of the book once it is ready! To resistance@sent.com, or through the ''donate'' button here. Dave Kellaway is long time socialist from Britain. In the eighties, he worked closely with the late Italian socialist Livio Maitan. In this video, he describes some memories of Livio as a activist and friend.